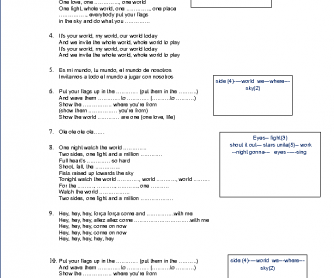 It´s a song worksheet based on the Pitbull's song "We are one ". This song was created for the Fifa World Cup 2014, This championship took place in Brazil and this song was very popular at this event. 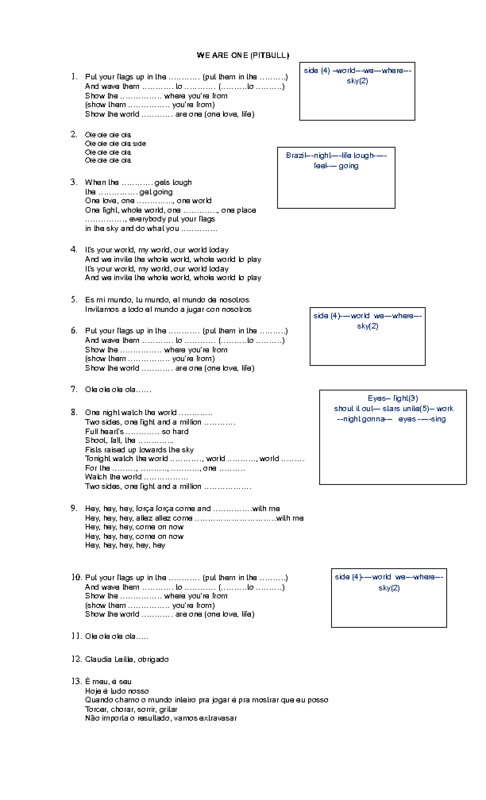 Students listen to the song, (you can watch the video on youtube), and then they fill in the blanks with the words in the captions.